There are many threads with many player's within those threads constantly wanting customization, more content and some new events. (I would list them but I am lazy and they're to many lol ) I am happy they added gun rush but I believe rdr2 really needs to step their game up and add more asap. So I wanna ask the outlaws in rdr2 what they really really... wanted to see added to rdr2 online experience. I personally wanna see the trapper added already , hunting events where some animals/parts are worth more money given a time limit. A chance to re-make my character with some new hairstyles and skin features without losing my hard owned progress and wagons/ player homes added. 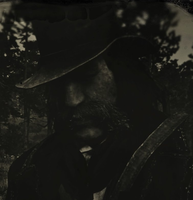 Outlaws I hate to make you repeat yourself's but if you could possibly narrow down want you want added to the rdr2 online experience and pick 5 main things you want , what would it be? Hopefully by narrowing down some ideas for rdr2 online we can see them come true a little faster in this beautiful looking game? p.s Are you honorable or dishonorable ? I really hope they give us reasons to visit Ambarino. Shame to waste all that beautiful landscape. Need a butcher up there, not sure we'll ever get it but it'd be fantastic to have. And properties in Ambarino would be good if we had more things to do there. And gambling activities: if not with other players (for whatever reason they have for not wanting players to gamble with one another), then at least let us play poker with NPCs. Also, liven up saloons! Why not have bands of musicians? And have saloon gals who dance and carry on. And tougher, more aggressive NPCs too: why are they all such pansies? I've yet to lose a fight with an NPC, which isn't very realistic or fun. And they're all too predictable, no variation among them whatsoever. And make NPC troublemakers looking to make a name for themselves, who shoot better and faster than any of them currently do. Maybe have rodeo games with prizes? Of course they'd have to give us horses tougher to ride without getting thrown. I just want R* to get more creative in providing freeroam activities that are fun to do. And hopefully we'll get DLCs more often than once every 6 months or more. I'm not much of a fan of PvP anymore, so I wouldn't really play this but it would be interesting to see R* bring back Land Grab from RDR1 Multiplayer to RDO. It would make it even more interesting and fun if they went more into depth of Land Grab with actual borders you can claim and defend if challenged. Main posts, in all towns and some landmarks, will be placed throughout the world of RDO. You'll have to be in a posse to claim land, I know it would be a cool challenge to lone wolf it but it makes more sense. You go up to the post and claim it. Once claiming, oher posses in the session are notified and can accept the invite to spawn somewhat nearby. A timer will start counting down as posses fight for the land. There will a claim zone (nearby the post) and a battle zone (a larger zone around the post). How to claim the land is to stand in the claim zone. 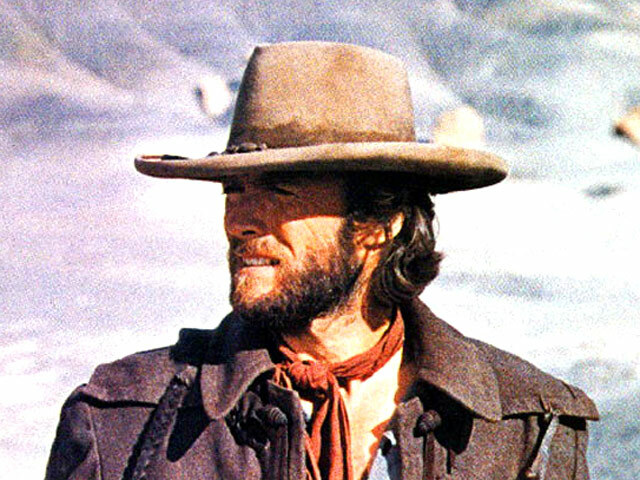 Whichever posse stood in the claim zone longest, wins that territory (unlike RDR1, there has to be a winner and since the mechanic is already in the game). If playing on land your posse owns, you will get a little XP and loot bonus while in your territory. Claiming main posts will grant you 100% potential land but other posses, instead of going it for it all, they can try to claim a portion of the territory to take it all little by little. Kinda like the Gang Territory mechanic in San Andreas and to see the highlighted land and borders of your territory would be dope. These were made with low effort, rushed, and I did these on the top of my head with what I knew about locations but it wasn't worth the dedication. Triangles represent the post locations and borders representing the land it belongs to. Claiming land from towns will have more land than small settlements/landmarks. Borders are weird but that's how it goes with not many areas to put a post and I tried to use water and roads for borders but thought it either had too much or too little land. Gambling! Poker and Blackjack; f*ck your Five Finger Fillet, Rockstar. Gambling can be played with money; money is obtained through missions. Gold on the other hand, is only useful for purchases. Vaudeville shows and them fancy moving pictures. I’d like for more proper fashion. I get we’re gunmen in the old west, not dandies. But that shouldn’t mean I have to dress like a mountain man. I see so many things the men of St Denis are wearing that I wish I could wear myself. It’s the bloody Victorian era, for god’s sake. Renowned to this day for the eclectic and gorgeous fashions. A frumpy shield-front shirt and tattered trousers just ain’t gonna cut it for me. I won’t be happy until I’ve got a proper 3 piece morning and lounge suit with MATCHING fabrics/patterns, and a frock coat I can actually bloody close. And a top hat that doesn’t look like it’s part of some cheap magician’s kit. -the option to have stubble, AND sideburns at the same time. I really like the default mane on Mustangs and Nokotas, and it'd be nice if there were more color options for it and the ability to equip it on other breeds. Also, I'd like to be able to customize my horse's leg and facial markings. Kinda an immersion breaker when seeing other players riding a horse identical to yours. These are horses, not cars, after all. 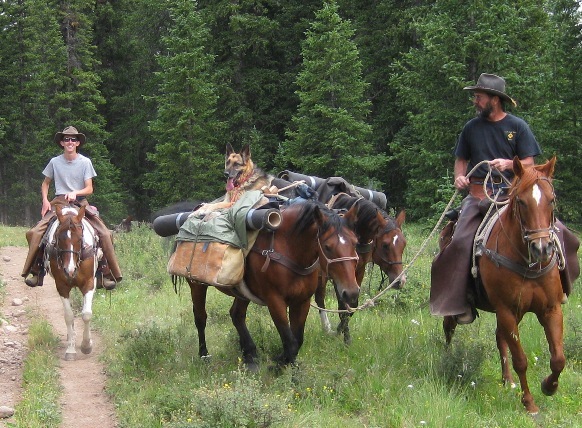 Being able to wild horses as pack animals, like you'll occasionally see in SP, would be cool too. It'd give some much needed functionality to the otherwise useless wild horses. Another thing I'd like to have is a proper preview of a horse before I buy it. Have a stablehand lead it around outside the stable so I can get a proper look at its coat and how it moves. Hope you've all been suggesting your wishes on their feedback site. Just might be a waste of time though but I'm being persistent. Now thinking about it, how much are they gonna nerf private servers? "Here's an idea for stranger missions to work in private sessions. Add a money and xp multiplier if you get attacked from a player while in a stranger mission. The more enemy players attack, the higher the payout. Allow stranger missions in private so people can do them, they won't have the potential risk but they won't have the potential higher payout." Since they encourage PvP so much, why don't they give a higher reward for engaging in it? rockstar games encourages bullying. that's all there is too it. refernce: all previous games. If I recall correctly, the orignal Red Dead Redemption multiplayer had a Survival that had players facing animals in increasingly difficult waves. 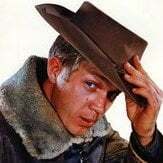 Why not bring Survivals into RDO? Possibly Human NPC's and Animals. Dogs, Wolves, Cougars/Panthers and Grizzly Bears. I want muzzleloaders so bloody much. In 1899 they were popular well out in the bush for the same reason single shot cartridge rifles and break-action shotguns are today. Extremely simple and reliable, and cheap. Since there is the inevitable patching of the out of map glitch near Twin Rocks. I wonder how they'll patch it? I hope R* will at least bring in that invisible sniper from story mode. Or better yet, anyone crosses the barrier and goes out of the map, then they get trolled by being struck by lightning, no matter what they weather is. Similar to everyone who glitched in The Duke O'Death from GTA V singleplayer. If you drove it out of your garage, it would catch fire. ...and then all we'll need are some hot air balloons and we can recreate the famous "Balloons and Blunderbusses" duel scene from Those Magnificent Men in their Flying Machines. I just want poker and blackjack. Just isn't the Wild West without gamblers. ‘Twould be nice if they added the gamemodes from Redemption 1 mp. Grab the bag, hold your own, gold rush, stronghold. Then an adaptation of undead overrun/GTAO survivals, something like surviving neverending waves of lawmen or bountyhunters or bears/cougars/wolves/alligators. Have the bear wolf and cougar ones be at bearclaw, del lobo rock, and tanners reach respectively as a cheeky callback to the broken spawnrates for those animals at those locations in Redemption 1 MP. Have the alligator one be in Lagras, with the players on the tiny islands. And obviously pvp Poker and dominoes. And Liars Dice, considering how many people like it. Maybe include several variants of poker like 5 card stud. I'd like one town to be a Tombstone style no weapons zone. My choice would be one of Valentine, Strawberry or Rhodes. Rhodes was a no guns town for a period in SP, so I'm sure it could be done. I think it would provide a chill area where players could interact without the prospect of things kicking off at any moment. ya know that in real life, almost any town was a no gun zone. Most visitors had to give their weapons to the sheriff or marshal until they left town again. Also the sheriff was most of the times directly next to the bank, so bankrobberies were uuuh... not that popular, since it meant certain death for the robbers. It's such a worrisome headache going into towns, no matter how well-equipped and leveled you are, when blips are flyin all over the place...sometimes you just want to relax in town but you can't. It's so bad that I don't even bother keeping the pelts or carcasses anymore, hell they ain't worth much anyway. I wish they'd give us peaceful towns but it ain't gonna happen knowing R*. Yeah, in the run up to RDR2 releasing I did a fair amount of reading about the history of the Old West, popular myths etc. During that I came across some interesting stuff regarding , as you say, most frontier towns having a policy of visitors handing in weapons to Sheriffs, hoteliers and the like. I know it would hamper gameplay somewhat to have all in game towns operate a no guns policy, but one town wouldn't hurt surely? From my perspective it would be more immersive for a town with a bank, such as Valentine or Rhodes to have a no guns policy. I'm sure hunters would flock to a no guns town in the attempt to sell safely, but, from R*s forced PvP perspective, there would still be plenty of opportunity to get killed on our travels to such a town before players got within the town's borders.